1. What kind of canvas material do you print on? We print on a high quality matte cotton canvas material of 450gsm. 2. Do you use a protective coating? Yes, all canvas prints have a protective coating applied for protection against UV, water and dust damage. 3. What if I am unhappy with my Print? We are confident this won’t happen, but if you are unhappy, return it to us within 7 days and receive a full refund. Rural North Island: 2-4 Days. South Island & Rural South Island: 3-5 Days. We will send you a note with tracking numbers once the item has been shipped. As a guide 500kb is sufficient for the small canvases, 1mb or more for the larger canvases. 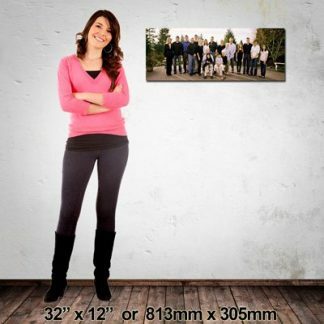 We will advise you if we are concerned your image is too small for your canvas choice. For best results, upload a high resolution image. We accept Debit card, Visa or MasterCard. 7. I am a photographer and want wholesale prices? Contact us to discuss volume discounting. We can also provide to trade customers, plain packaging, a personalised branding sticker to go on the back of the canvas, and we can also include your invoice for dispatching directly to your customer. 8. Do you sell Gift Vouchers?